Water Bar & Public Studio is a bar that serves free local tap water. Thirsty? Fill up your water bottle at one of three Anthropocene Water Stations created by Water Bar & Public Studio. 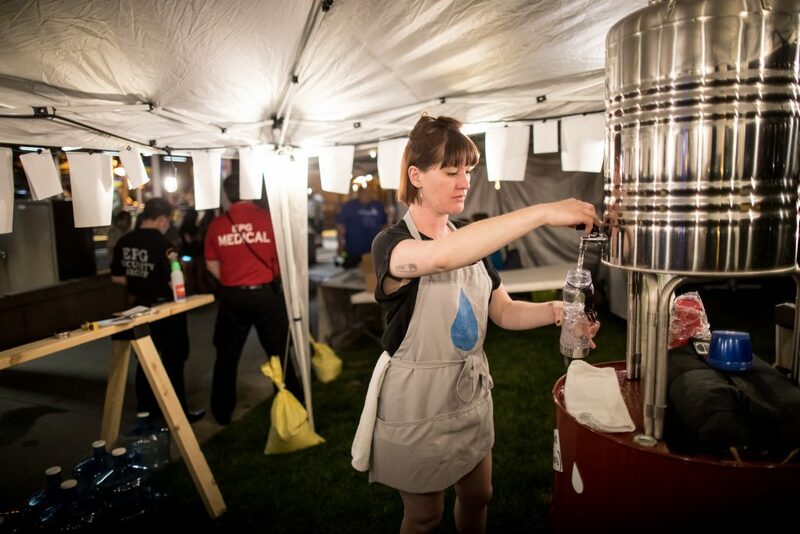 These stations are spread throughout the festival, each one featuring a drinking water selected to illuminate connections between land, water, and society in the anthropocene epoch. Pick up a free publication created by Water Bar artists and scientists. Water Bar & Public Studio is a bar that serves free local tap water. It’s also an art space and incubator of collaborative projects on water, place, and environment. Led by artists Shanai Matteson and Colin Kloecker of Works Progress Studio, Water Bar works with a diverse network of partners, including other artists, science researchers, environmental advocates, and our neighbors in Northeast Minneapolis and across the state of Minnesota. 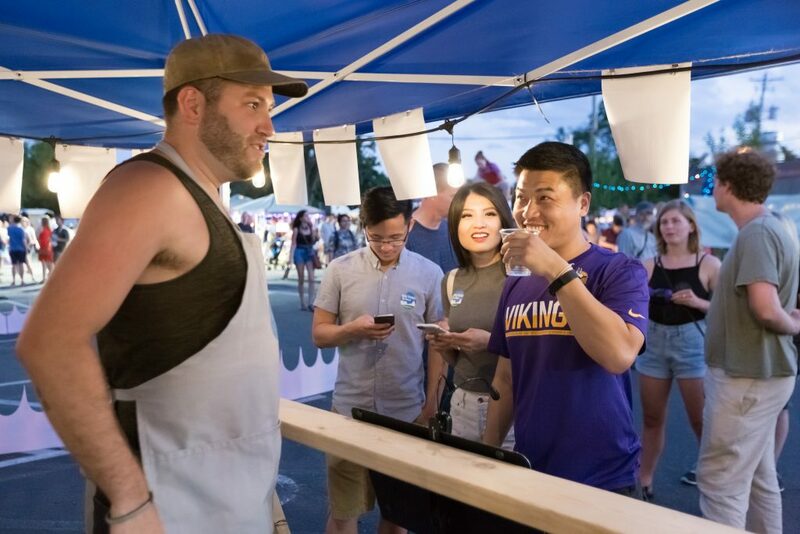 In addition to our storefront taproom and public studio, we bring our pop-up Water Bar to other places and communities, working with local organizations to create projects that build relationships with and in place. 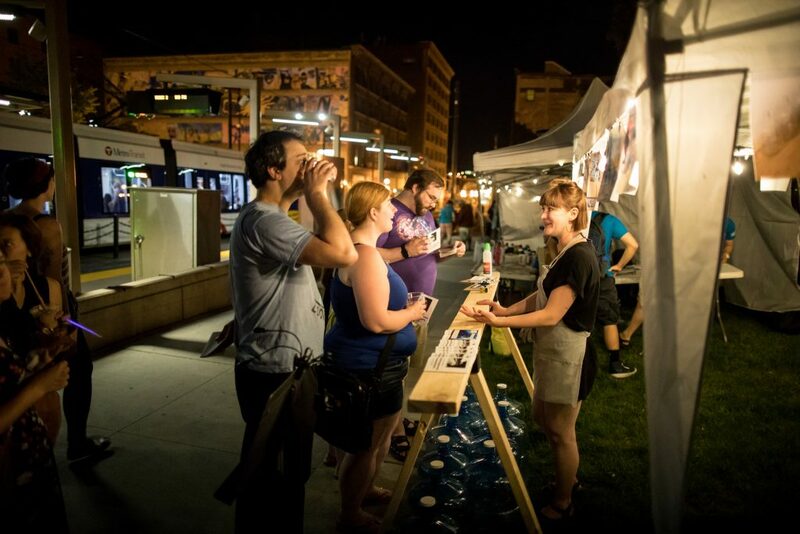 Water Bar & Public Studio is an artist-led Public Benefit Corporation. We sustain our storefront space and community programs by providing creative services to other businesses and organizations, through strategic partnerships with nonprofit organizations and government agencies, and investment from others who value what we’re building together.